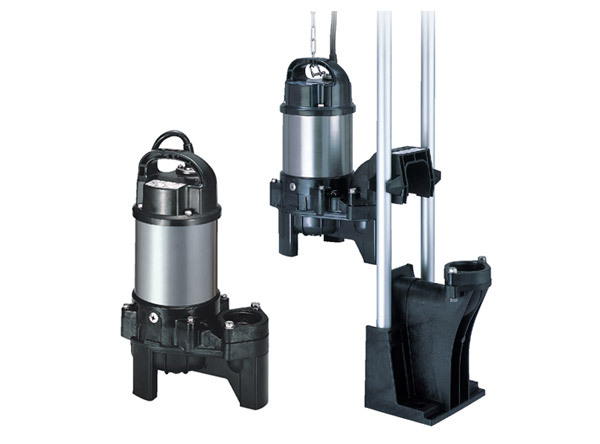 The U-series is a vortex pump utilizing a 2-pole motor. The impeller produces vortex flow that allows fibrous materials and solid matters to be pumped with minimum contact to the impeller. A vortex impeller offers a practically choke-free operation in sewage pumping. 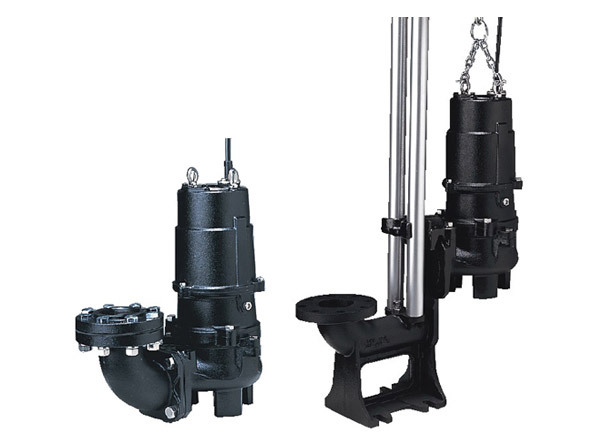 The UZ-series is a vortex pump utilizing a 4-pole motor. The UZ range has a large solids passage that is equivalent to its discharge diameter. for example the 100mm pump has a 100mm solids passage. 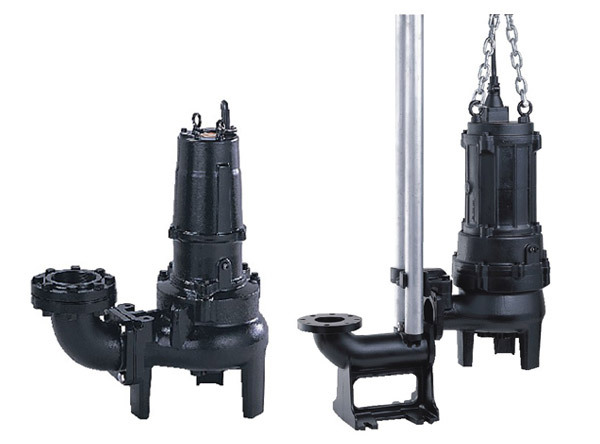 This large solids handling ability gives practically choke-free operation in sewage pumping. The PN-series is from the Tsurumi VANCS range. 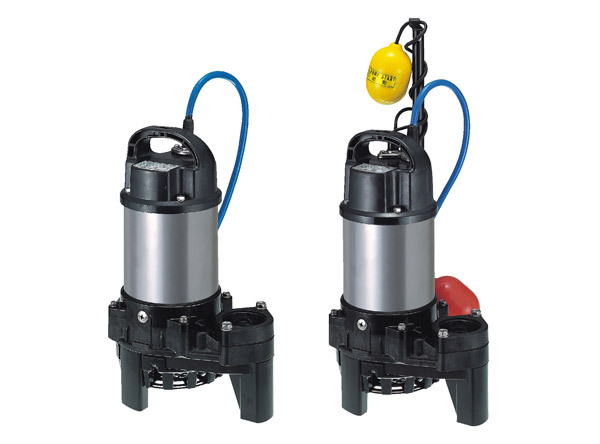 The pumps are manufactured from stainless steel and glass reinforced resin. 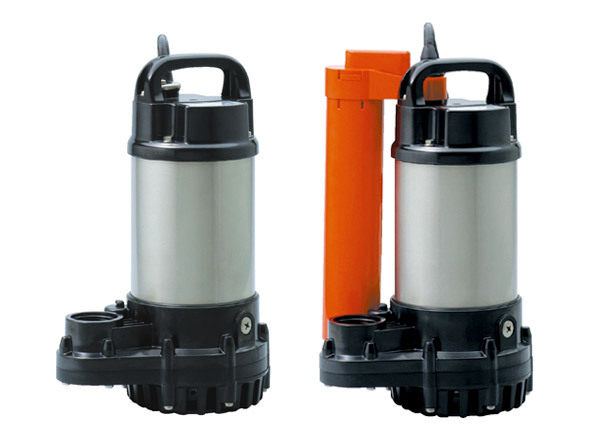 The pump is lightweight and corrosion-resistant The semi vortex impeller allows the pump to achieve higher heads than the PU range and the moderate solids passage makes the pump ideal for liquids containing smaller solids. The OM2 and OMA2 are made of stainless steel glass reinforced resin. 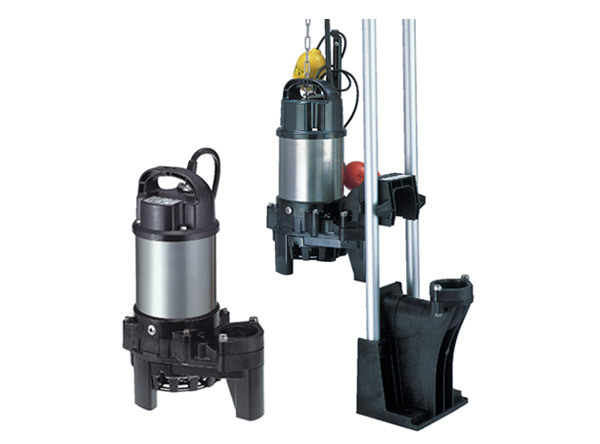 The pump is not only lightweight but also corrosion resistant. The semi-vortex pump design allows the pump to pump liquids with some solids. An automatic model uses a cylindrical float which gives the pump a very small footprint allowing it installed in tight spaces.